Subtitle: Why does my back hurt? Beer is good. Homebrew is better. I don’t brew often enough, but when I do, my back hurts the next day. I must be doing something wrong. The goal is good beer and good times. How can I apply lean thinking to reach the goal more efficiently? My house is my beer factory. I live in the top two floors of a triple decker, with access to the basement. The top floor is the Sanitizing Station, also known as the bathtub. This is where I clean, sanitize, and rinse the large glass carboys that I use as fermentation containers. The second floor is the Brewing Station, also known as the kitchen. This is where I mix and boil the beer, add yeast, sanitize bottles and smaller tools, and bottle the beer. The first floor is my neighbor’s apartment. No beer production happens here–this is wasted space; it might even be a competing brewery! The cellar is the Fermentation Station and Storage Area. This is where I store fermenting beer, bottled beer, and all the equipment. A value stream map is one of the tools we use in lean optimization. To keep it simple, I have four steps in my value stream: Brewing, Fermentation, Bottle Conditioning, and Drinking the First Bottle. I use time spent in each stage as the simple metric of value added time. How should I measure waste? Waste is usually represented as wasted time. In the home brewery, though, most of the time is spent waiting for the yeast to do their work. 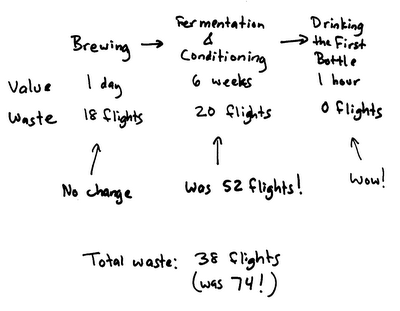 Fermenting and bottle conditioning take as long as they take, and they can’t really be optimized. Did you notice that my beer factory is stacked vertically? Another kind of waste is unnecessary motion. What if I measured waste as vertical motion? Here’s the next iteration of my value stream map, including the waste incurred in each stage. So where should I optimize? I only walk 4 flights of stairs in the Drinking the First Bottle stage. Compared to the amount of waste in the other stages, this isn’t a big deal. 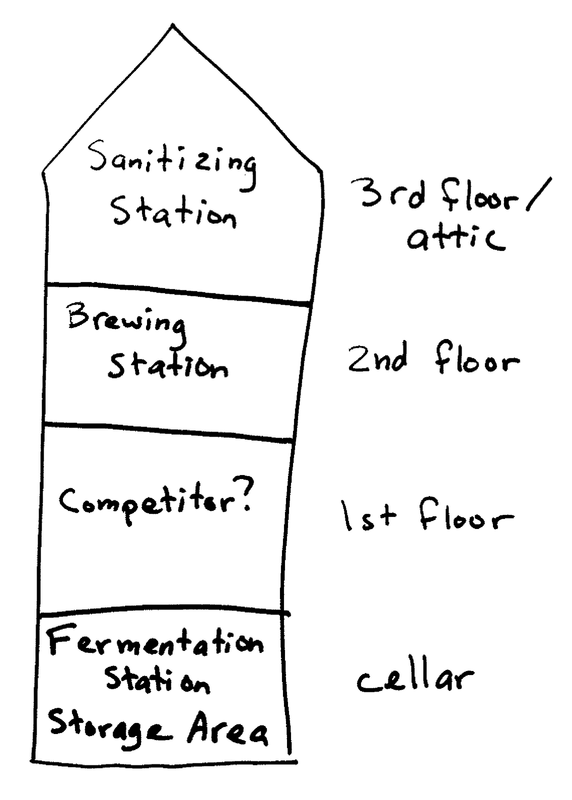 An obvious improvement is to move the Sanitizing Station and Brewing Station to the cellar. I could build a cleaning area and kitchen in the cellar, and eliminate 18 flights of stairs. Great idea, but too expensive. 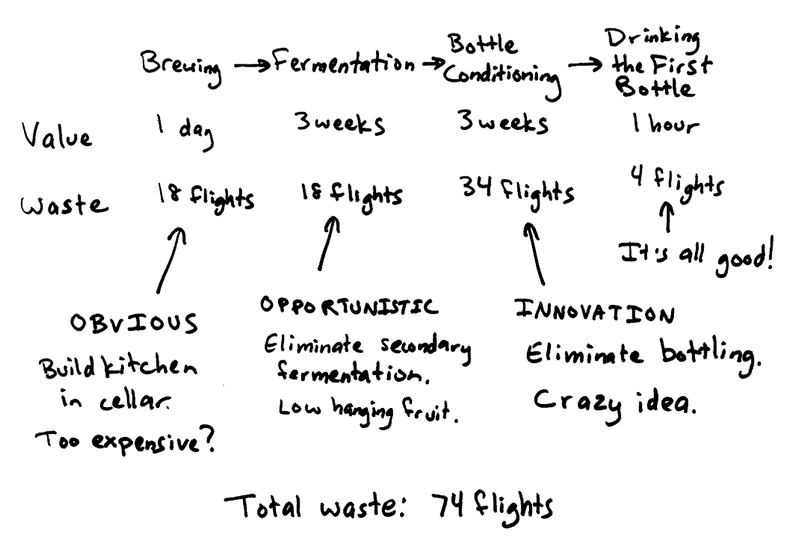 There is a potential low hanging fruit kind of improvement to the Fermentation Stage. I do a two stage fermentation, starting in the primary carboy on brew day, and transferring to the secondary carboy a few days or weeks later. If I used single stage fermentation, I could eliminate all the vertical motion here. This is inexpensive and it won’t make the beer taste dramatically worse, so it seems like a good idea. I think of this as opportunistic efficiency, and I’ll probably do it. 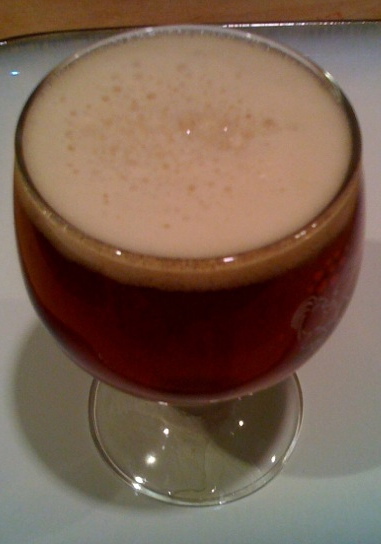 Relax, sit back, and enjoy a homebrew!